﻿ Spring Colour Trend: Red Scarlet & Contemporary Lighting! Red is all around and its time you figure out how you can get it! Finally, Spring is right under our noses! We miss the sun, the warmer days and with it the fun activities we can do! Today we’re going to get you inspired by the Spring colour trend: Red scarlet! Ready? Let’s find out how red you can be this Spring 2018! Red, red, red, red all over! This time of the year is a blossoming one. With it comes to the great renaissance of the world and you can spend some precious time outside without freezing! So, why not get the right outdoor lighting decor with the amazing marquee lights? Why not adorn your wall decor with the amazing red you want all over your home interior decor! Get your hands on Diana suspension lamp and you’ll see how it will transform your home design in no time! As we’re talking about Diana… we have another great success for you. Diana table lamp, the industrial style lamp is the one you’ll want to get into your home design project! A perfect red for every occasion. 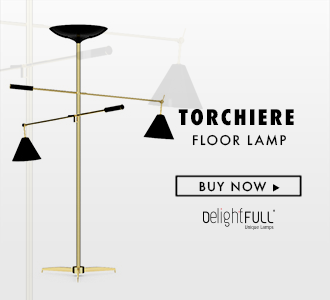 To finish perfectly we have the Scofield floor lamp. One of the most iconic lightings designs of the lighting brand, DelightFULL has only the lighting solutions you can ever hope for. With successful projects all over the world, the lighting brand is making its word known all around.